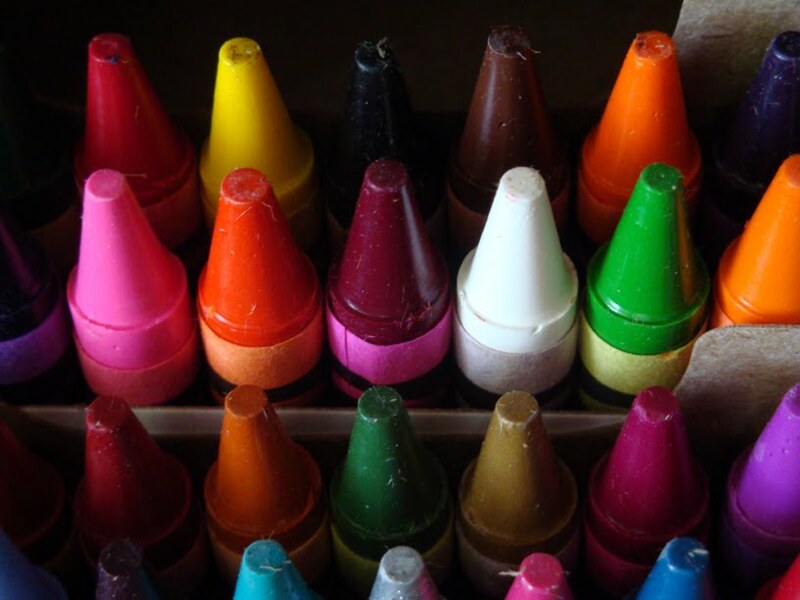 Home Lifestyle	Who needs counseling when you can buy crayons for $1.70? Not me! Not yet at least. Or maybe I have lost my final marble. 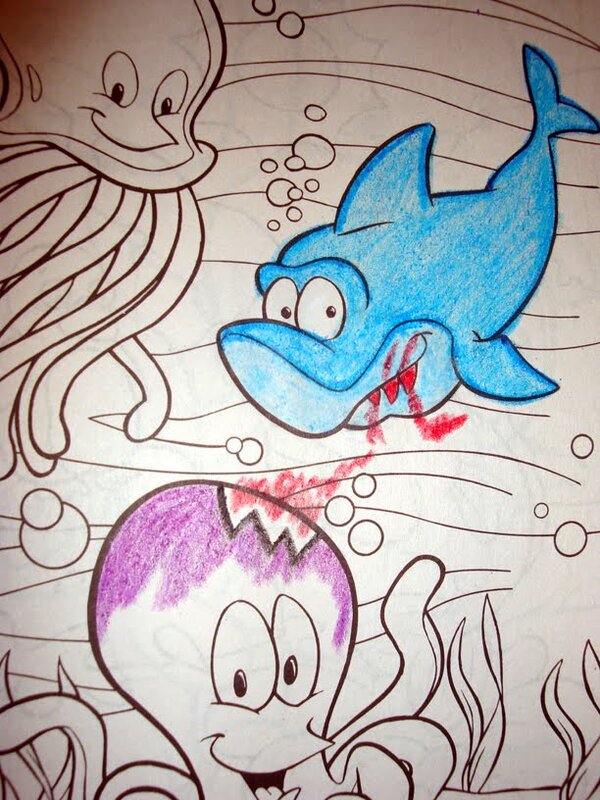 Either way, coloring sure is fun. Oscar and I were in Target the other day (wonder of wonders) and I decided to grab some crayons. Looks like it was my lucky day because they were on sale! 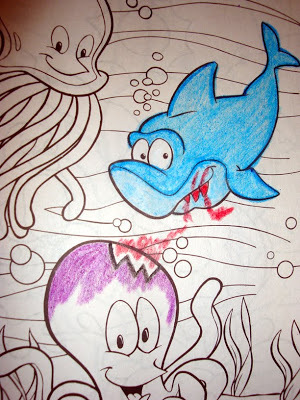 And I found a sweet under the sea coloring book in the $1 bins. Thanks China. Jerry and I decided to color one evening after Oscar went to bed and I would like to show you the difference between men and women. Pay attention, this will never change. 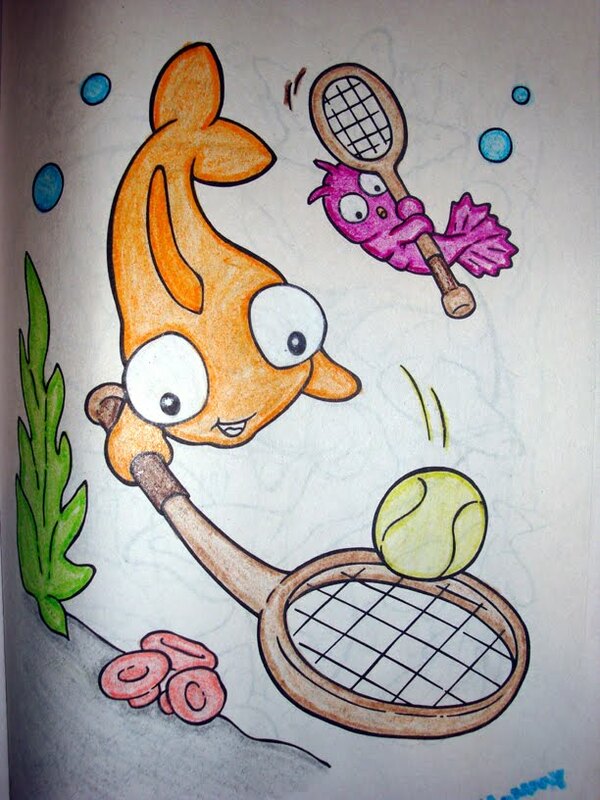 I colored my pretty little picture with cute little colors and shading. See my little pink shrimp? They’re playing Tennis! 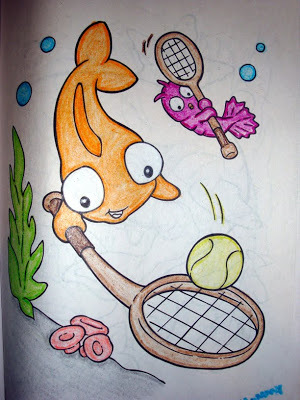 Underwater Tennis! Isn’t that just adorable? The fish and the shrimp are friends! And they are Playing! Now please direct your attention to my husband’s unfinished masterpiece. Unfortunately, he only had time to ruin the life of the Octopus, who clearly doesn’t realize he is dying. Since he was in a hurry, he was unable to “finish the blood”. I wonder who will fall prey to the shark next…. Notice how tiny the crayon looks in his big caveman hands. 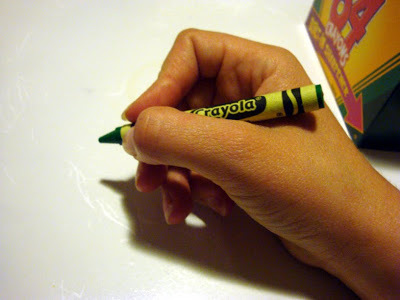 I have added a picture of our friend Steph’s hand for comparison. The only reasonable conclusion I can draw from this experience is that men were created to be hunters and women to play tennis underwater. ha ha, that is awesome. And I think Jerry was very sweet for coloring with you! 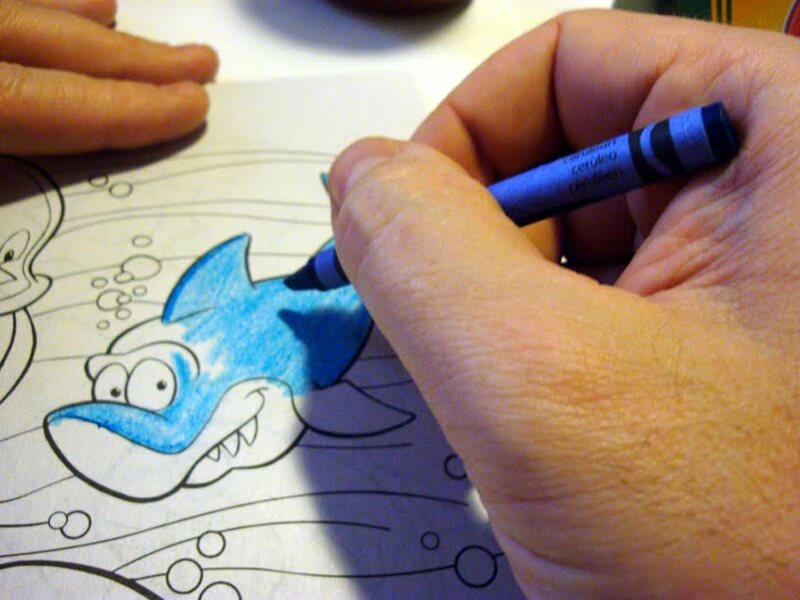 I do not think Mike would color with me. My sister firmly believes in art therapy too (she is an artist). I like that the octopus is not concerned about the giant gash in his head.